[Please help] Fastboot command error ! (08-13-2017, 11:34 AM)Benzalf Wrote: Does it detect the phone? it is able to do everything, but not able to write firmware into the phone. Is this the command you're using?! i am not using this command else didn't unlocked my device bootloader until i have a working installation procedure, if i am done something wrong. is it possible to flash large files like system.img of 3GB in fastboot mode ? (08-13-2017, 11:30 AM)Benzalf Wrote: I've never flashed preloader in fastboot before and I don't recommend you do it either. Only flash preloader.bin in Miracle box or when it's corrupted with SP Flash tool. miracle tool doesn't allow me to flash anything. When the scatterfile loads, which files do you select to flash in Miracle Box? before i used to flash preloader.bin and recovery.bin it gave the problem i explained above than i tried to flash whole firmware with miracle same problem. only way for me to flash stock firmware is fastboot mode. 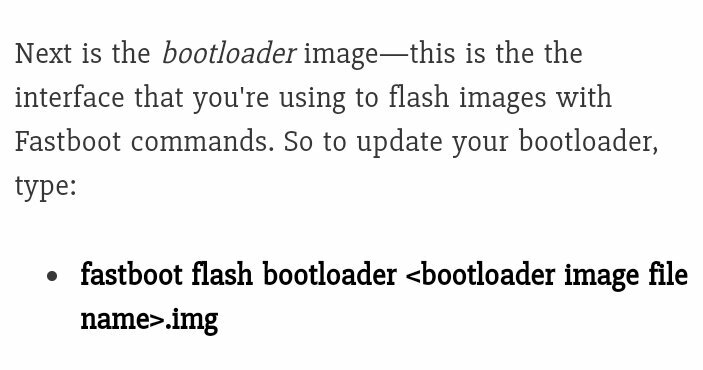 that's why i have more queries related to fastboot.sp flash tool & miracle tool not able to push factory images. also i don't have official firmware of moto e4. If you don't have the official firmware, where did you get the preloader.bin from? i have extracted whole firmware with the help of miracle tool. miracle tool do all the things except writing firmware files into the phone. (08-13-2017, 12:25 PM)Benzalf Wrote: If you don't have the official firmware, where did you get the preloader.bin from?